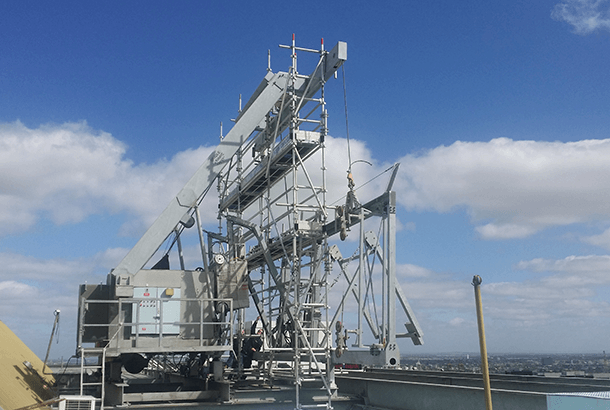 This BMU is one of the larger BMU’s in Melbourne. GDP were contacted after a long period where the unit had been experiencing constant breakdowns. With the assistance of our mechanical engineers, GDP completed a full audit of the BMU and set about a major overhaul. The works included the manufacture & installation of a new slew ring. Works were made more difficult by the size of the unit which incorporates a large cradle assembly. This necessitated the erection of a scaffold to complete the refurbishment works.